Voice search is not just a trend that would go away anytime soon. If you still haven’t found a way to incorporate it into your SEO strategy, you could be missing a lot. It is something that you need to work on. Now. Just last year, about 40% of adults were using voice search devices every single day. In 2016, Google’s voice search tool, for one, got 35 times more queries than it had in 2008 when it launched. Smartphone users of today can also easily ask their phone a question about the use of Siri, Cortana, Google Assistant, and Alexa. 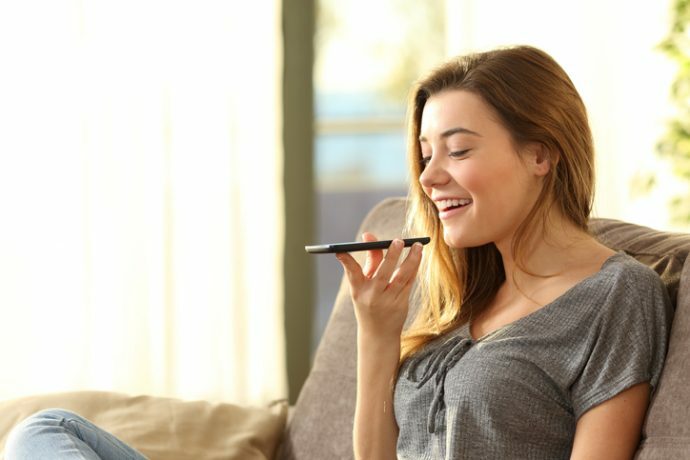 With the way people are using their smartphones to search for information, it has been predicted that by the year 2020, about 50% of all searches will be done using voice. What does that mean for SEO? And what can you do to make sure your website is optimized for voice searches? No less than 39% of voice searches are for business information. That is why it is so important that you optimize your local SEO. You want to make sure that you have the correct information, including the right address, updated contact details, as well as opening hours on your website. You should also keep your Google My Business Page up to date at all times. What you want is to be in the best position when a user asks “where’s the nearest pet shop?”. (Granted, of course, that you actually have a pet shop! Just as important is having the right opening hours listed because you do not want to misinform your customers. Another great way to optimize for local SEO is by getting more online reviews. At the moment, voice search is used on mobile almost exclusively. That is another reason for you to optimize your website to be mobile-friendly, otherwise, users will just bounce back. That would not be good for your rankings. How much faster should your website be? Well, consider this: if your page takes five seconds to load, it is 90% more likely to experience bounce backs, compared to other pages that load in just a second or two. According to Google, bounce rates on mobile are higher than on desktops by 9.56%. It is likely because people who use voice searchers are almost always on the go, meaning they cannot wait for a slow page to load. Both Google Assistant and Google Home read out featured snippets as answers to voice search queries. It, therefore, makes sense that your goal should be to achieve the elusive position wherein your content shows as those featured snippets. You can do this by knowing what the most common questions are in your industry. Then base your content on those questions. Make sure you include the questions and answer them directly. Answering in lists also help. Not, as well, that 99.58% of all featured snippets are from web pages that are found in the top 10 of Google search results. So your content should not only be informative but also engaging. Both your internal and external link building should also be strong. Because voice queries tend to be more conversational than written ones, your tone of voice should also match this if you want to get the top position. Whether you like it or not, voice search is very important and you should do what you can so your website is not left behind. If you are in need of advanced tips, or you want someone to help optimize your website for voice searches, contact ReferLinks Online Marketing! We can help you with your SEO and so much more!